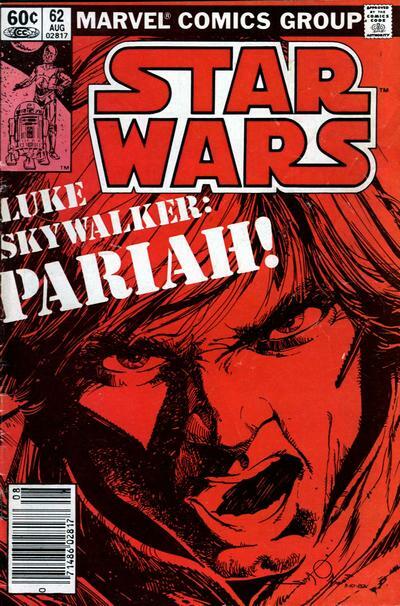 Ostracized from the Rebels, Luke returns to Shira's homeworld in search of the truth about her. Leia tells Luke that while she believes he didn't mean to kill Shira, she also can't support him, for fear it would cause a rift in the Alliance. 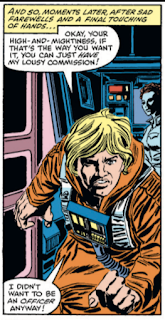 Luke agrees, and puts on a show of angrily storming out after Leia removes his commission. 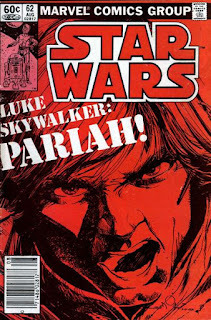 Luke quickly finds himself a pariah within the base on Arbra, stripped of his rank & privileges and with nearly everyone believing him guilty of killing Shira. Concerned that the Force led him astray, he determines to find another explanation, and with Chewbacca's help, leaves the base aboard the Millennium Falcon. 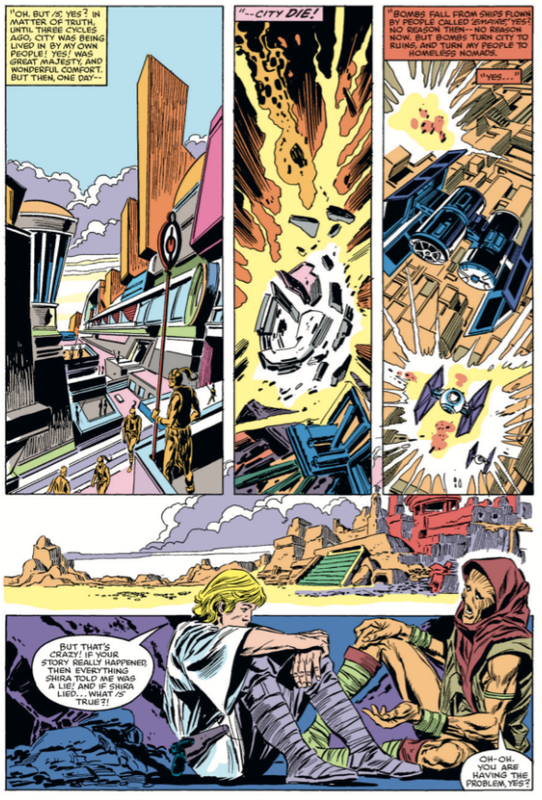 They return to Shalyvane, Shira's homeworld, and are captured by the barbarians who attacked the Rebels during Luke's last visit to the planet. 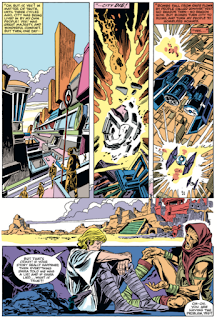 With the help of the Force, he proves his trustworthiness to the locals, and quickly learns that Shira lied to him about the barbarians and the fate of the city. Returning to the altar where Shira had paid homage to her deceased family, Luke discovers a communication device. Remembering that Shira cut her hand to put blood on the altar, he does the same. After his blood hits the device, it activates, and suddenly Luke is face-to-face with Darth Vader. One issue removed from her apparent death, this issue shows that there was more to Shira that we'd previously seen, as Luke returns to her home planet of Shalyvane and learns that pretty much everything Shira told him about it in issue #60 was a lie, with the barbarian nomads who attacked them in that issue actually having been the residents of the city, until the Empire arrived and destroyed it without warning. He also discovers that the altar where Shira performed a blood-letting (to pay homage to her deceased family, she said) conceals some kind of communication device. 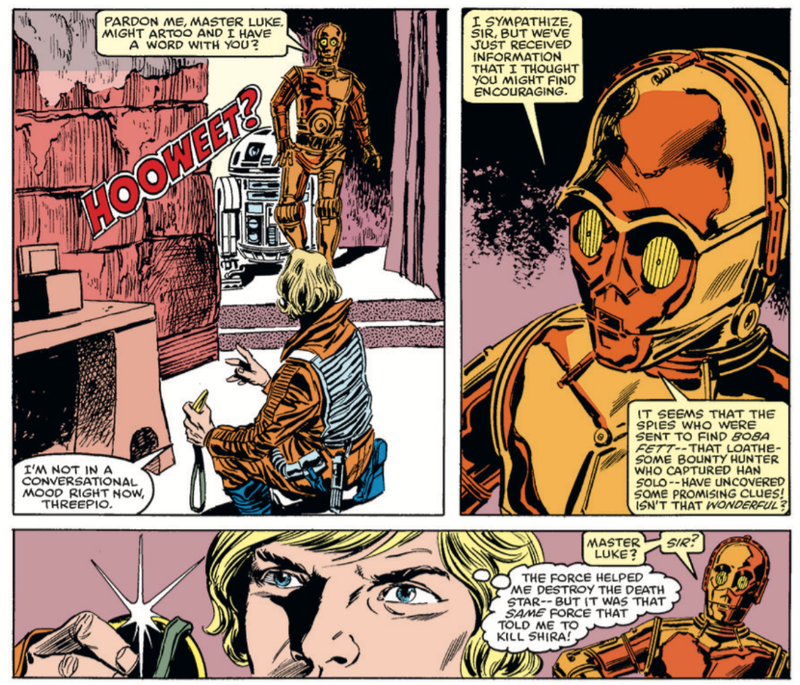 In trying to mimic Shira's actions to activate the device, Luke seemingly contacts Darth Vader, setting up this issue's cliffhanger. Spoiler alert: that's not really Vader about to attack Luke. 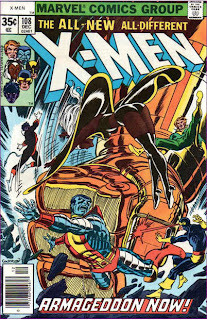 Jim Salicrup takes over from Al Milgrom as editor of the series with this issue. 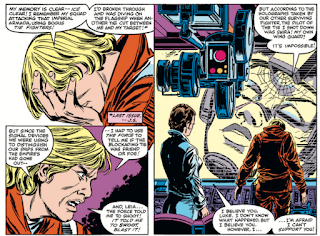 Luke reiterates that it was the Force which told him Shira was a hostile when he shot her TIE fighter. 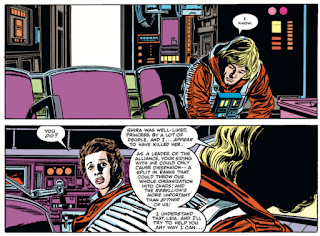 Leia argues that while she believes Luke acted without malice, she can't openly support him, as Shira was popular and, as the Rebel's nominal leader, can't be seen as playing favorites, for fear of causing a rift in the Rebellion. Obviously, "innocent until proven guilty" doesn't exist in the Star Wars universe. A narrative caption describes Luke & Leia saying goodbye as "one final touching of hands". Is that just an overwrought way of saying "handshake"? One of the Rebels angry with Luke describes his Force sensitivity as "hocus pocus", an effective reminder that, in general, the concept of the Force and the notion of the Jedi are more less rumors or superstitions, at best, in this time period, for the average person. 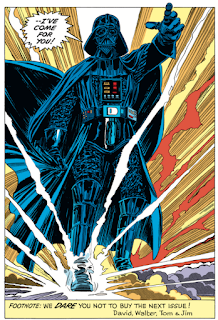 It's even speculated that Luke could be in league with Vader, given that they both can use the Force, which raises the question of just how widespread the knowledge of Vader as a Force user is. Given that the Emperor works hard to discredit the Jedi and suppress knowledge of the Force and whatnot, it seems like he'd want Vader's powers kept under wraps, at least among the general public. 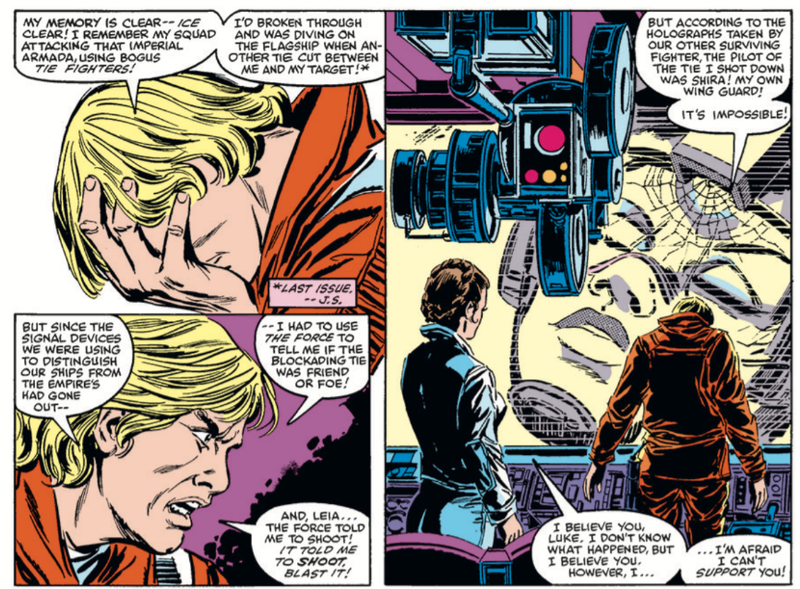 Then again, Luke knows Vader is a Force user, so maybe it's common knowledge in some segments of the Rebellion, at least, even if Joe Q. Public doesn't know. Being effectively on the run from the Rebellion, Luke is back in his *sigh* Tatooine whites. I get that his orange Rebel pilot attire wouldn't be appropriate at this point, but I feel like he could still be wearing his brown Bespin fatigues. A bit of accidental foreshadowing of Return of the Jedi, as Luke & Chewbacca are snared in a net, and Luke uses his lightsaber to release him (which he tries to do in Jedi before Artoo cuts them out). 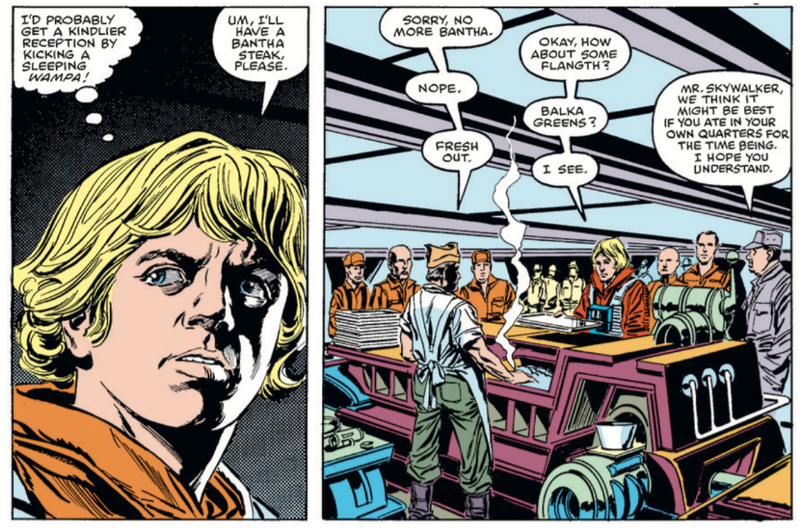 When Luke tries (and fails) to get some food at the mess, we get a list of Star Wars meal options; bantha steaks have been mentioned before, but the others are new. 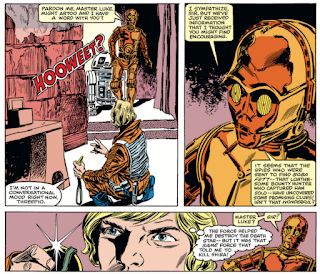 Threepio brings word to Luke that some Rebel spies have located Boba Fett, but Luke is too distracted by the whole "I killed Shira/now everyone hates me" business to pay it much attention. 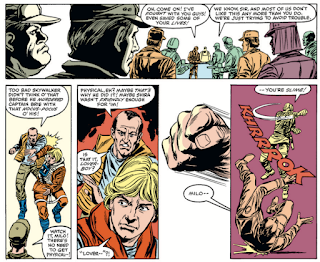 A response to a letter declares that Arbra will remain the Rebel's base until Revenge [sic] of the Jedi, and that Boba Fett won't appear until that movie. Walt Simonson's impending departure from the title is acknowledge, and one letter writer asks that Wedge get involved in the series, so there's at least one person asking for Wedge in this period! While the second half of this issue deepens the mystery surrounding Shira (well, it introduces the mystery, really, by suggesting there's more to Shira than we've been led to believe) by revealing that events on Shalyvane played out differently than from what Shira said in issue #60, the first half of the issue does something really interesting by positioning Luke as a pariah within the Rebel forces on Arbra. On the one hand, it seems unlikely that the Rebels would ostracize Luke to quite this extent, and with the speed in which they do (with word seeming to spread in minutes); he is, after all, the kid who blew up the friggin' Death Star (and helped blow up the Death Star-esque Tarkin), has the ear of the nominal leader of the Rebellion, and has taken an active, near-constant front-line role in the battle against the Empire ever since he joined up. 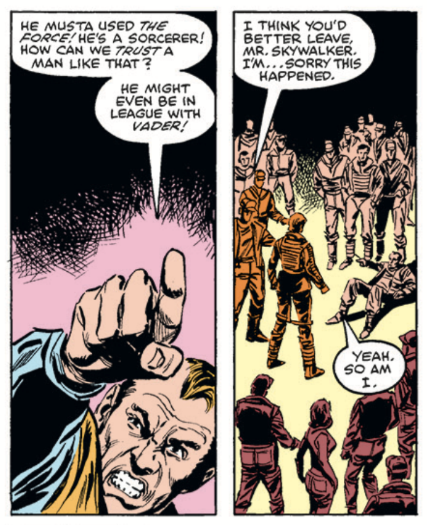 Shira may have been well-liked (something we're told more than we're shown, but the medal ceremony where she got promoted last issue helps sell the idea), but accidents happen, especially in combat, and it seems unlikely that Shira is the first Rebel to suffer friendly fire. I can buy Leia sidelining Luke while they investigate the situation, but the extreme cold shoulder he gets, to the point that even Lando has to pretend to be mad at him, seems extreme. 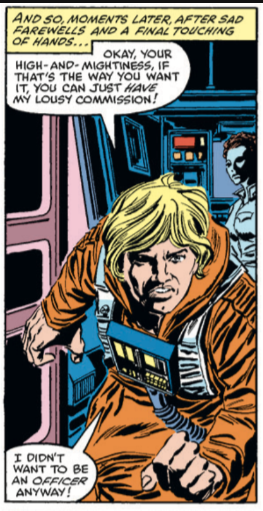 On the other hand, Michelinie & Simonson tease an interesting idea here, that Luke's Force abilities carry the risk of making him an outsider, someone to be feared for being different (not unlike one of Marvel's mutants). Sure, when he's using the Force to blow up the Death Star everyone is willing to accept it (or laugh it off), but when he's using the Force to blow up a well-liked fellow pilot, well, now he's the religious whacko who thinks he has super powers. Maybe it's just our current political climate, but it's not hard to buy that switch happening relatively fast among rank-and-file Rebels, especially given that the whole concept of the Force and the Jedi is relatively obscure at this point in the Star Wars timeline - in many cases, the only other Force-user anyone might be aware of is Darth Vader (a point made by one of the Rebels). Readers, even in 1982, understood there was pretty clear distinction to how Luke used the Force and how Vader did, but that's less clear to characters in-universe. 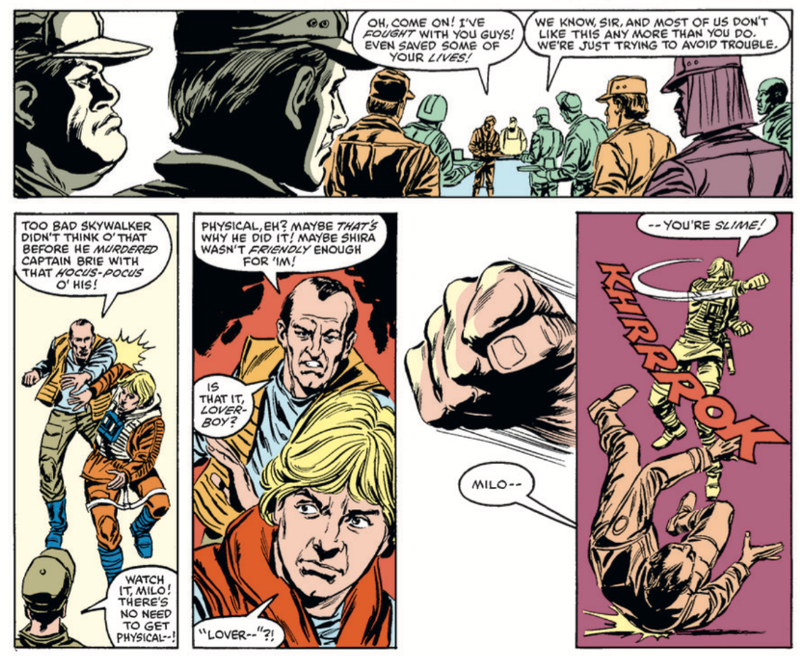 So the minute Luke starts using the Force in a questionable way, however well-intentioned, well, it's easy to see how that might freak people out, no matter the scale or quantity of Luke's previous heroic exploits. The truth about Shira Brie! 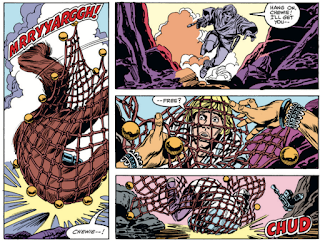 Why Walter Simonson's art is so different from his usual art style? Was he forced to changed it to be adequate to some "Star Wars" standard, like what happened to Jack Kirby, who got his Superman redrawn to meet DC's required standards? Sorry. I didn’t mean to steal your thunder; I just got to the post uncharacteristically early and had at least a reasonable facsimile of the answer. I agree re the cold shoulder Luke gets from other Rebels. Especially since his show of rejection from Leia is just to reinforce that she’s treating him as she would anyone else — rather than him needing to establish some kind of cover for a mission amidst, like, a rebel Rebel (if not rogue Rogue) faction as stories often do. Although like you said his use of the Force being questioned feels legitimate and even welcome in terms of fleshing out a society of individuals; surely there’d be some Rebels, as with the Imperial officers, who’d be disbelieving or distrustful of the Force despite the perhaps reflexive invocation of it when heading into battle.